Alyssa Rallo Bennett is the co-founder of Stonestreet Studios, an award-winning incubator for new content and talent with features, shorts, pilots, and branded MicroMovies. 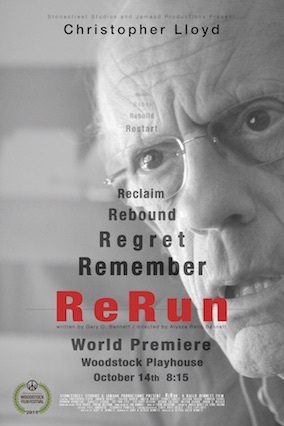 ReRUN marks her second feature film and collaboration with partner/writer Gary O. Bennett. She co-wrote and directed her first feature, The Pack, starring Lucie Arnaz and Elisabeth Moss. The Pack was accepted into many festivals, including the Tribeca Film Festival and won multiple awards. It was released theatrically in NY and LA and distributed by FilmRise. She just completed a new pilot, Leading Story, and is in development with DOT, an anthology series about women’s rights in 50 states that Danny Ramirez (Assassination Nation, Top Gun: Maverick) and Vanessa Murano (Switched at Birth) will star in. She co-produced and was featured in Without Thunder, now on Amazon Prime. Bennett is an alum of NYU's Tisch School of Drama and has an MA in Psychology and Theater.